Brilliance 4 Piece Set Jewel Tone. Designed for use on shiny papers, Brilliance dries to perfection on vellum, mica, acetate, photo papers, sculpey clay, shrink plastic, and much more! 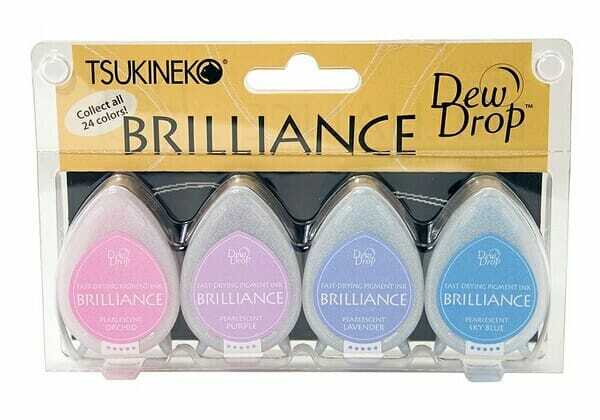 Brilliance is the solution to all your tricky pigment stamping problems. Ideal for scrapbook embellishments - no smeared pages or smudged page protectors. Customer evaluation for "Tsukineko - Brilliance 4 Piece Set Jewel Tone"